Summer is, as usual, bringing on the heat and no matter your skin type, climate changes affect the skin in a variety of ways. 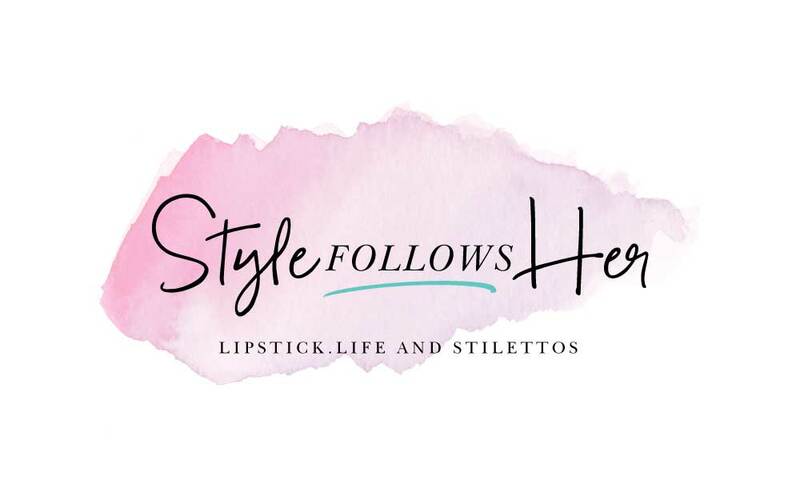 With countless products on the market, it’s hard to not get sucked in by brands with the prettiest or most flashy and celebrity-approved marketing strategies. But what we really want, as health-conscious consumers, is an affordable brand with a list of legible ingredients that are understandable without having to Google search. 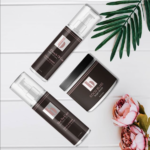 BRWN Beauty by Asheya Dixon offers all natural products specially formulated to moisturize skin and hair, with familiar products. 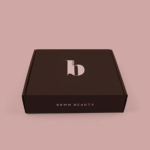 BRWN Beauty was created out of a need for brand representation for people of color, something relatable to the culture. Dixon grew tired of illegible labels, the uncertainty of reaction to chemically enhanced products and product scarcity. As a military spouse, relocating is inevitable. Dixon provides insight on establishing BRWN Beauty and what can be expected of the brand in the future. A move from Georgia to Arizona played a significant role in Dixon creating BRWN Beauty. “What prompted me to initially create the company is the fact that my husband is in the Air Force and we moved from the East Coast where it’s very humid -I came from Georgia and there is a lot of moisture in the air in Georgia; I have natural hair too, so to leave the East Coast and bring me, my natural hair, and my skin the West Coast. It was like the moisture was just sucked right out of my skin and hair. Everything I used in Georgia did not work anymore; whether if it was for my hair or my skin, it just stopped working. Nothing worked, in fact, it did the opposite was whatever the claims were on the label if it said it was moisturizing, it was really drying for me, she says. “I had to create my own, the town that we moved to in Tucson, Arizona -it’s an Air Force Base right outside of Davis Monthan in Tucson. It’s not very diverse out here -and I don’t know where you’re from, but the East Coast, to me, seemed more diverse. Especially in Georgia, between Wal-Mart, Target and the Beauty Supply, I can walk into a store and find all the products that I’d need. In Tucson, when you walk in the store they have the basic necessities. They don’t have a diverse range of products for natural hair or African American skin -that doesn’t exist. I walked into a beauty supply store and I asked for SheaMoisture products, ‘Oh, we don’t have that brand. But we’ll go check in the back.’ So, they had to go to the back to find my products somewhere in a corner. For me, that was disturbing, because that meant that I’m here for the next two-three years, this is what I have to go through. I need to be able to find products for myself to meet my needs, so while I’m here I can be comfortable, so I created my own,” she explains. 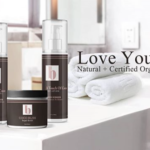 BRWN Beauty products have been tried and proven true for the specific needs of the melanated skin, Dixon reveals how she perfected the brand. 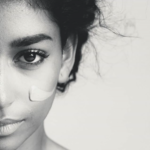 “Research shows that there isn’t one product that’s going to solve everyone’s skin issue(s). Sometimes you have to have customized products for your particular skin, so you need to have something that is for you. 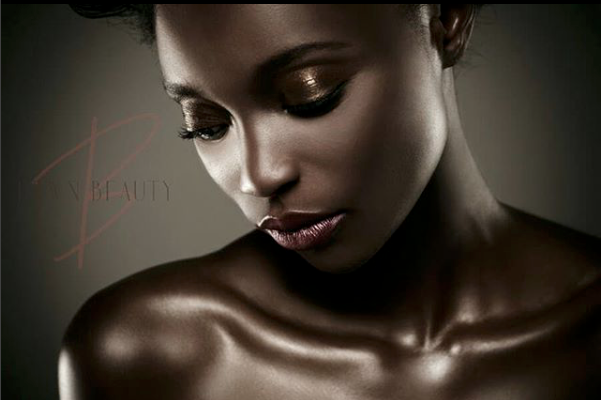 Brwn beauty is that it’s for you.